Offering a variety of horse-drawn carriage and wagon services, The Cowboy Carriage has rides from a 15-20 minute rides to special private events. Downtown Bend Carriage Rides for up to 4 adults and 2 children can be unreserved on a first-come-first served basis or reserved for up to one-hour rides. Weddings have a base price for 2 hours for the bride and groom, with extra fees per additional hour as well as additional horses and Carriage as needed for guests and bridal party. Kids Birthday Parties include cupcakes and ice cream and have a large party option for up to 20 children and a smaller party of up to 6 children. The Bend Horse Drawn Brewery Tour for between 10-20 people includes free samples from 4 breweries, starting from the Oxford Hotel in downtown Bend. 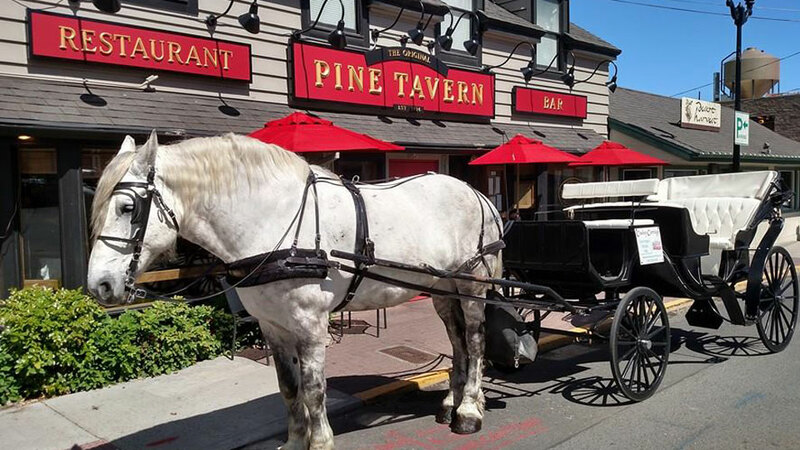 A special Christmas caroling event ride complete with jingle bells, cookies, hot chocolate, and a caroling book for up to 20 adults takes off from the Pine Tavern, or you can book a private wagon for your group. Not seeing the tour you want? Special event bookings are available upon request.